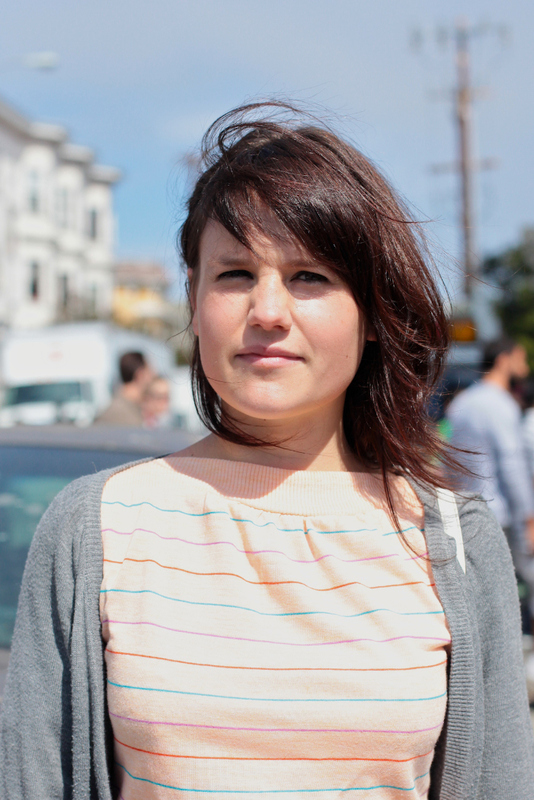 "Just San Francisco style and music." I'm really into the idea of dressing like a senior in high school circa 1987. Kara's dress with it's peach hue and thin stripes remind me of that era. 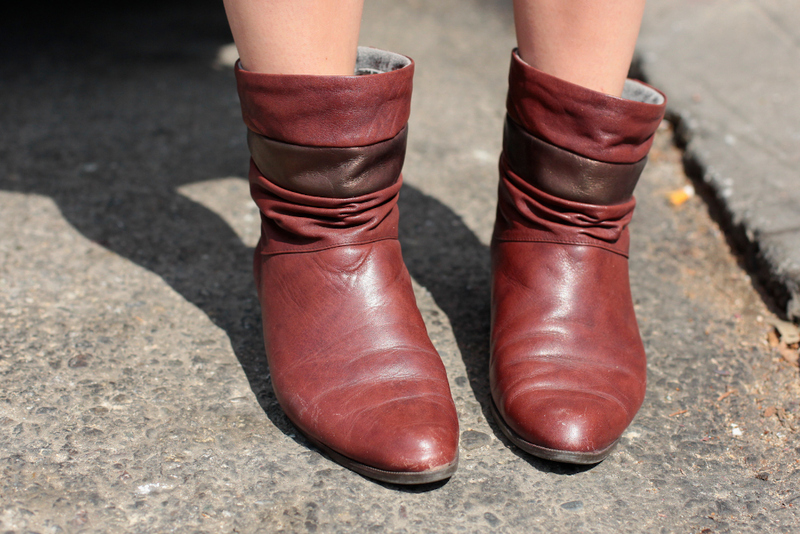 Ankle boots that may (or may not) be vintage. San Francisco and Portland, OR are the twin cities of fashion. Every single one of these outfits looks so eerily familiar. Has anyone else noticed that a lot of the girls on this blog have legs that are way more tanned above the knee than below?